Have you ever wondered where chocolate comes from? Take a delicious journey back in time and around the globe to discover the story of chocolate. 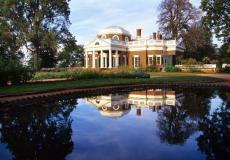 We’ll make modern sweets as well as historic treats enjoyed in Thomas Jefferson’s time. For young cooks (ages 5 and up) and their favorite grown-ups.